Have the allegations made you think twice about donating – or where you donate to? 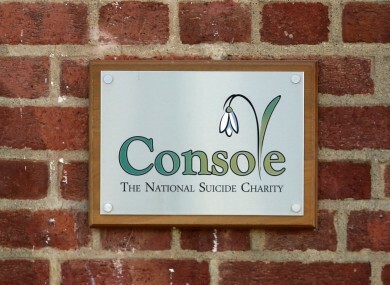 IN THE WAKE of allegations of financial impropriety at Console, several people have expressed their dismay and shock at the lack of oversight of the charity. A HSE audit of the charity shows half a million euro was spent on foreign trips, designer clothes, eating out and other expenses between 2012 and 2014 – while another half a million was spent on salaries and cars for the charity’s founder Paul Kelly and his wife. Many people who gave to the charity, including restaurateur Derry Clarke and former journalist Charlie Bird, have expressed concern that the good work done by Console will suffer in the wake of the scandal. So this morning we’re asking, will the Console allegations affect how you give money to charity? Email “Poll: Will the Console controversy affect how you give money to charity?”. Feedback on “Poll: Will the Console controversy affect how you give money to charity?”.